RK Build Solutions Ltd - Builder, Painter/Decorator based in East Grinstead, West Sussex. 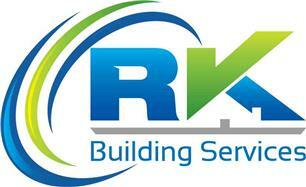 Welcome to the RK Building Services are here to provide you with every Construction need all under one roof. We have many years of experience working in the building and construction industry. We pride ourselves on quality workmanship, great customer service, efficiency and excellent performance. We offer domestic and commercial customers an extensive range of building and construction services covering both internal and external jobs. So whether you want an extension, a total refurbish or just a simple painting and decorating job, we can help. And with our expanse of quality experience, you can rest assured you have hired a reliable, effective and specialist company to take care of your homes and businesses. Our fully qualified, friendly and professional workers are trained and skilled to help with brickwork, painting and decorating, electrics, plumbing, plastering, carpentry and can do a wide range of jobs. Their exterior project skills cover works such as landscaping, extensions conservatories, rendering, turfing, driveways, fencing, brickwork and painting. In essence, RK Building Services is the one-stop building service for all your building needs. What’s more, we even visit your house or premises free of charge and supply a free no obligation quotation.